Elfsight Muse contact us form widget suits all possible demands in getting reviews and orders from clients of your website. Embed the additional fields for filling in, define the required layout and adjust the appearance, to motivate your clients even more to send order for products of your business. 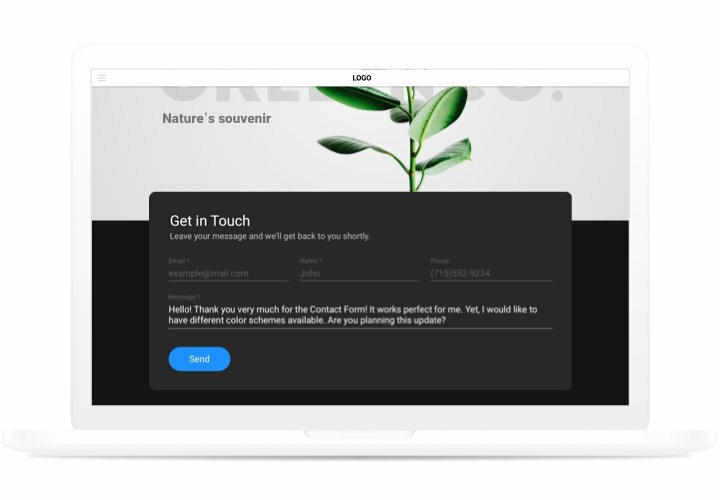 Receive testimonials, get orders and send answers to the messages of your website users! Up to 100% to the number of orders from the site. Settle any problems and uncertainties of your readers, and don’t allow them to leave the website. Make use of our handy product for building fruitful dialogue with clients. Get to know clients better. Requests, question and other impressions of your clients about your product or service is a magnificent method to understand the needs of your site users and strategically build a concept of future enhancement of your company. Don’t let having spam in your mail. 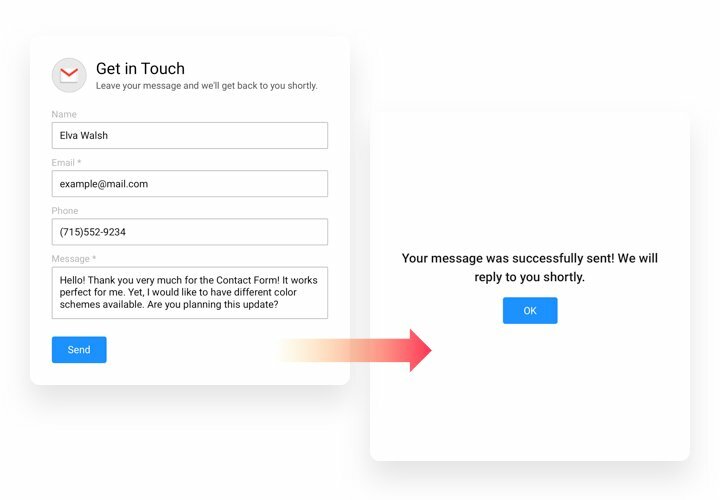 Elfsight form is equipped with Google reCAPTCHA to save your e-mail box from automatic spamming and bots. 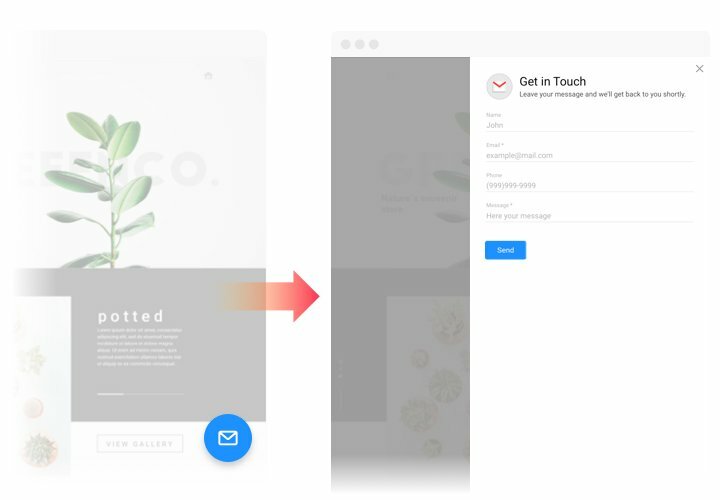 Apply our tutorial, to embed contact widget on your site. You will not need experience in development and total installation duration is not more than 70 seconds. 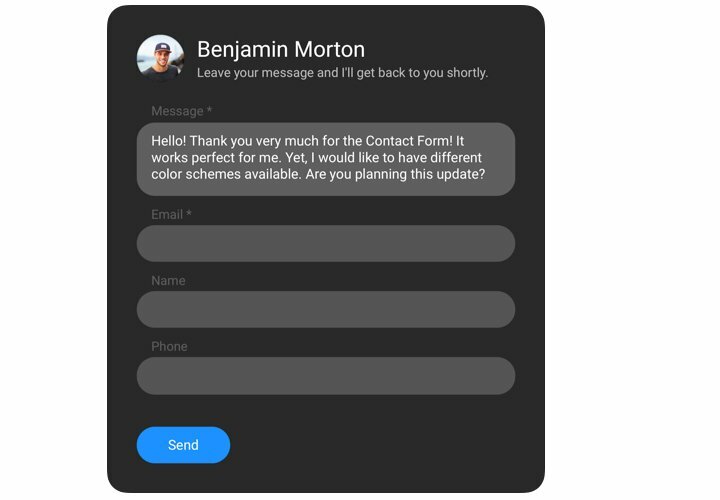 Build your custom-made Contact widget. With our free configurator, assemble a plugin with preferable template and settings. Copy a code for displaying the plugin. After widget generating, receive the code for the form plugin from the appearing notification on Elfsight Apps. Display the plugin on Adobe Muse website. Add the plugin to the desired place of the website and apply the changes. While following the guide or shaping your form, you came across any hardships? 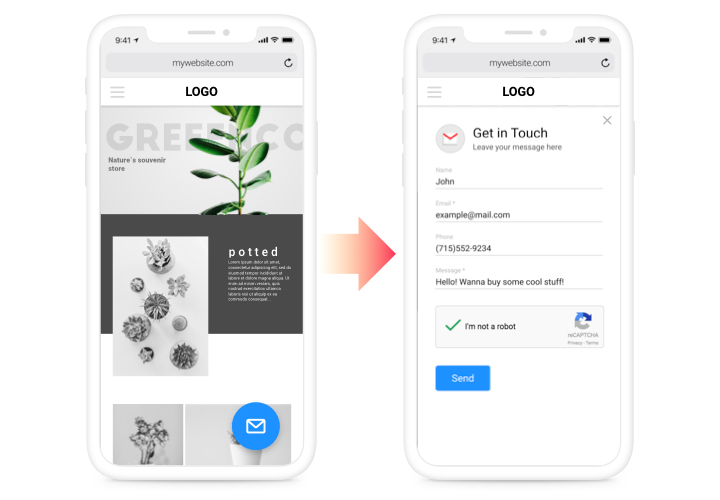 It’s recommended to read a complete article «How to integrate Contact form into a Adobe Muse website» and give a try to integrate it again on your own or leave a message to support team with complete explanation of your query, and we will be there to help. 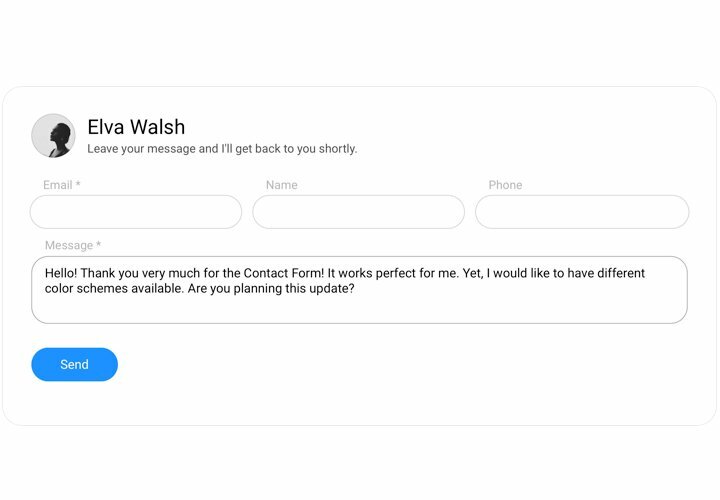 Generate a unique Muse Contact Form absolutely free!